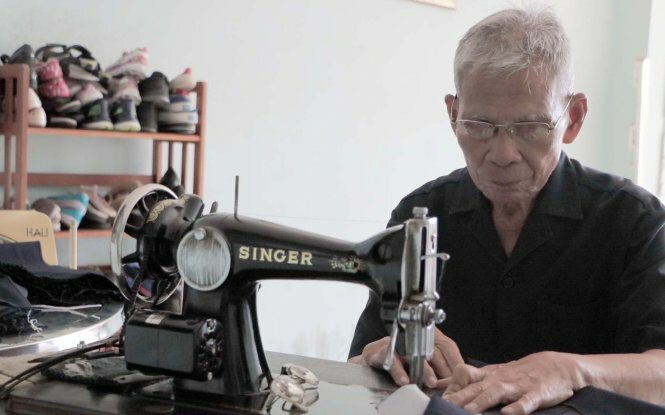 An elderly man in Ho Chi Minh City has tirelessly made gratis school uniforms for disadvantaged children in different areas in Vietnam for around twenty years out of love for them. Nguyen Ngoc Giao, a war veteran, has been seen working by his half-a-century-old treadle sewing machine from 8:00 am to 11:00 am, and between a noon rest and 3:00 pm almost every day at his house in the metropolis’ Tan Binh District. Giao has maintained the habit for quite a long time, giving a large number of uniforms to poor students. All started in 1998, when Giao decided to help financially underprivileged children at a class run by his friend in the city’s suburban district of Hoc Mon after seeing them wear ragged clothes. At first he sent them washed hand-me-downs collected from his own family and neighbors but later spent part of his retirement pension and money his children gave him on making clothes for the students himself, using sewing skills he learned from imitating professional tailors. Giao singlehandedly created around 100 uniforms in each of the early years of the effort and over 500 on a yearly basis between 2010 and 2015 – the maximum number of school uniforms he has sewed. Students benefiting from his philanthropy have included poor children in his area and different Vietnamese cities and provinces. But with health recently faltering, Giao has only made trousers and latterly, skirts while the tops are being ordered from a company. To make clothes for children in Ho Chi Minh City, the man takes measurement of them before sewing as an act of thoughtfulness. “When you give a uniform, it has to fit. If it doesn’t, what’s the giving for?” Giao said. He prefers to play a backstage role as he often requires local officials to present his uniforms and asks them whether his clothes fit students. A teacher of a class for poor children in Tan Binh District said uniforms sewed by Giao always fit very well. “He made them for different ages but every student can wear them,” she said. The teacher added that Giao gave special care to her class as most of the students were street children or come from a deprived family background where parents are motorcycle taxi drivers or scrap collectors.  “Giao is enthusiastic and has done useful things for the community. He even devotes his retirement pension to charity,” said Tran Minh Vu, a senior government official in Ho Chi Minh City. “In sewing uniforms, he asks for no help from others. Everyone all admires him and appreciates his contribution,” Vu added. Giao said he only stops working if his health deteriorates seriously or no underprivileged students are found in Vietnam. He is uncertain about the latter case. “It would be a long time before there aren’t any poor students here,” he said. The elderly man suggested the local government allow him to hold free sewing classes for women in financial difficulty in his district, since this may provide jobs for them and give him a helping hand in making uniforms. “If I do that alone, it’s just like a grain of salt dissolved into the sea,” Giao added, referring to an idiomatic expression of negligible effect.